Acting Jobs>Other Acting Jobs>Rugby Players - All Blacks Rugby Doco/Drama Set in the 1980's! Need a New Headshot? Seeking Actors to Help Me Build My Portfolio. 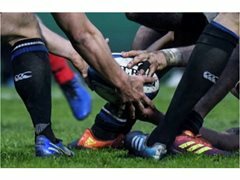 Rugby Players - All Blacks Rugby Doco/Drama Set in the 1980's! The Project: An All Blacks rugby documentary / drama set in the 1980's! We are looking for men aged late teens to early 30's to play Maori, Pakeha, Polynesian look-a-like roles for All Blacks from the mid 1980's building to the final of the 1st ever Rugby World Cup in 1987. Shoot - Looking at an 8 day shoot over the 2-week period for this project – of course performers not required for all 8 days. Rugby - All Black look-a-likes from the 1980's! Must be rugby fit & have physics similar to that of 80’s rugby players. Rugby back then wasn’t professional so we don’t necessarily need the muscle size / tone / bulk that the players have now. AGES: late teens to early 30's - Maori, Pakeha, Pacific Island look-a-like roles for All Blacks mid 80's to the final of the Rugby World Cup in 1987. You don't necessarily have to be a rugby player BUT you will need ball skills and be able to run freely in boots etc. Prop Maker and Costume Designer Needed for Cursed. Urgent Photographer and Demonstrator required for March 9th Fleetwood.